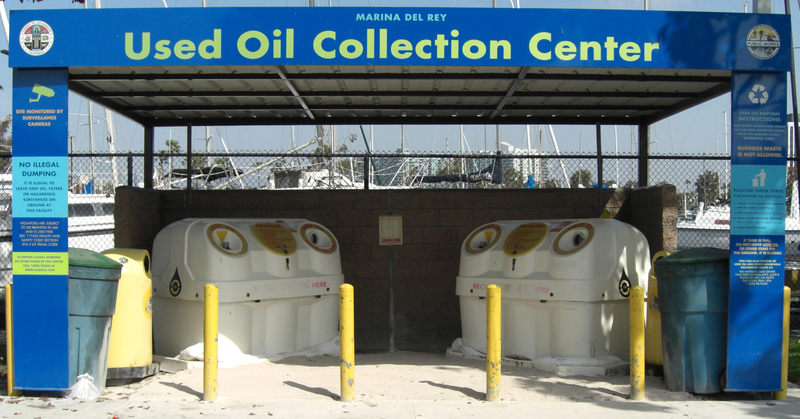 Los Angeles County provides a free disposal site for residents to discard their non-contaminated used motor oil and filters. Take your used oil from your car, truck, motorcycle, boat, or lawn mower to one of the following County Used Motor Oil Centers. IMPORTANT NOTE: Abandoning other waste, including hazardous waste, at any of these Centers is ILLEGAL and can result in fines and imprisonment. To dispose contaminated used motor oil and other household hazardous waste, take it to our HHW collection event (limit of 15 gallons or 125 pounds of hazardous waste per trip).